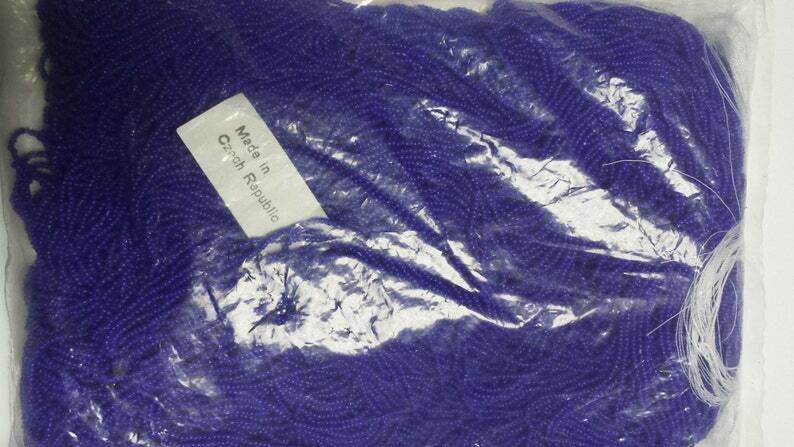 You are purchasing 1/2 Kilo of Size 16/0 Vintage Czech Royal Blue beads. These beads were purchased in the 1950's by parents of dear friends who have carried on the family bead business. They are in the original, unopened package.